The Grant Campus Gymnasium is a new 21,000-square foot addition that includes a competition-size gymnasium with team locker rooms. The gym accommodates a variety of recreational activities, with specialized layouts for basketball, volleyball, and badminton, with ample bleacher space for fans. 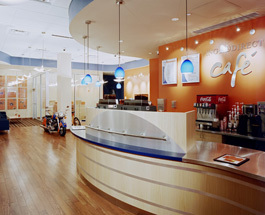 Located in the heart of Chicago’s Gold Coast, the ING Direct Café offers internet banking services and access served up with traditional café fare. Bauer Latoza Studio performed architectural and engineering design services for the build-out of the internet bank and café along with the renovation of the existing retail space. 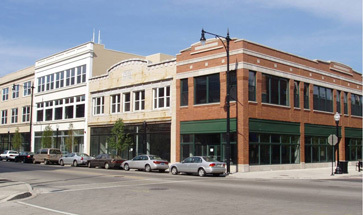 Comprised of three phases, the South Campus Development project involved eight buildings (two new construction and six adaptive reuse) totaling 91,500 square feet for retail and office use around Halsted and Maxwell Streets. Bauer Latoza led the project through: Assessment, Master Plan Development and Design Guidelines; Exterior and Core Design and Construction Documents; and Interior Design and Construction Documents. 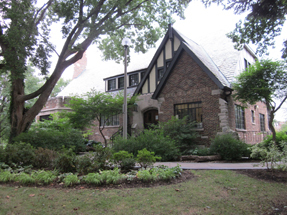 This 26-park project encompassed 35 buildings— including 13 historic structures–, and over 380 acres of outdoor recreational areas. 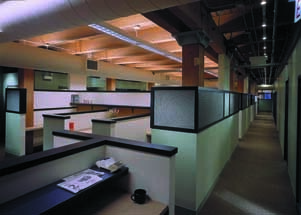 Bauer Latoza Studio provided assessment reports, design and construction documents, and administered construction for upgrades to elevators, walkways, locker rooms, pool access, interior and exterior, to help these valuable parks comply with the accessibility standards of the Chicago Building Code and the Americans with Disabilities Act. 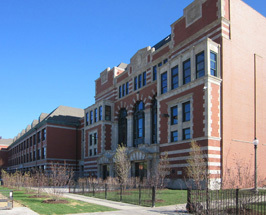 Constructed in 1928 with several later additions, Marshall High School is a brick and limestone structure encompassing an entire city block on Chicago’s West Side. 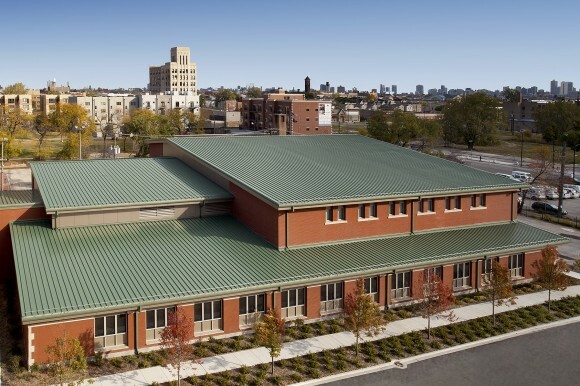 In conjunction with the CPS Capital Improvement Program, Bauer Latoza Studio undertook a two-phase restoration of the school: first renovating the exterior, followed by interior upgrades to facilitate growing educational programs. 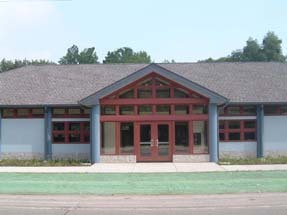 Bauer Latoza Studio designed this energy- and cost-effective, 8,600-sf Gary Public Library. An open-floor plan allows staff to monitor all areas of the library from the Circulation and Reference Desks, establishing a strong aesthetic which lends to visual security. The site and parking plan emphasized ease of maintenance along with ecological sustainability. Accommodating a budget of $61 per square foot, Bauer Latoza Studio’s plan for the Chicago Reader offices capitalized on the features and materials of the building, showcasing the wooden beams and floor structure of the converted loft space. A new internal stair, along with natural light flow and friendly workstations streamline inner-office circulation.